Designed by Sandra Batley from Flourish Gardens, the courtyard was built to provide an expansive outdoor living area for a family of four, and has all the mod cons to keep the kids entertained during the day and keep the parents and their friends up a little too late at night. 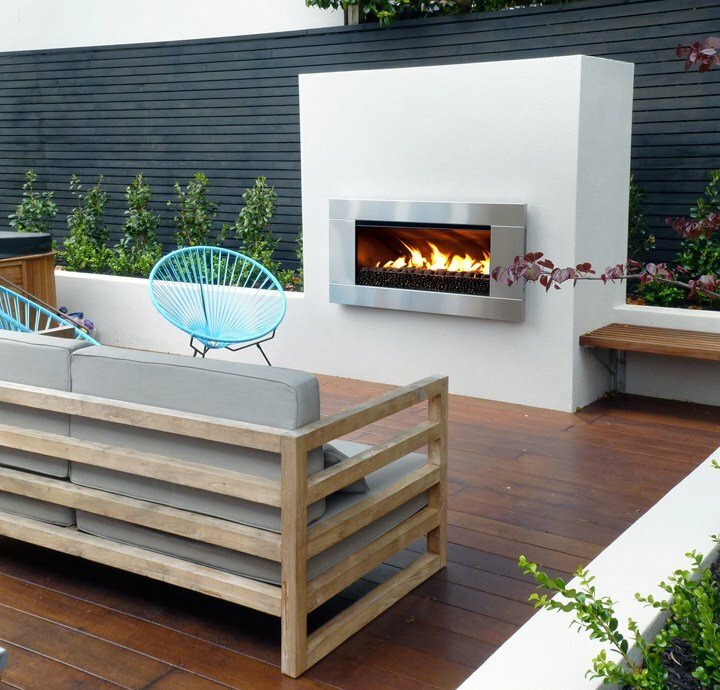 The large deck area features an Escea EF5000 outdoor gas fireplace for lounging and year-round entertaining. 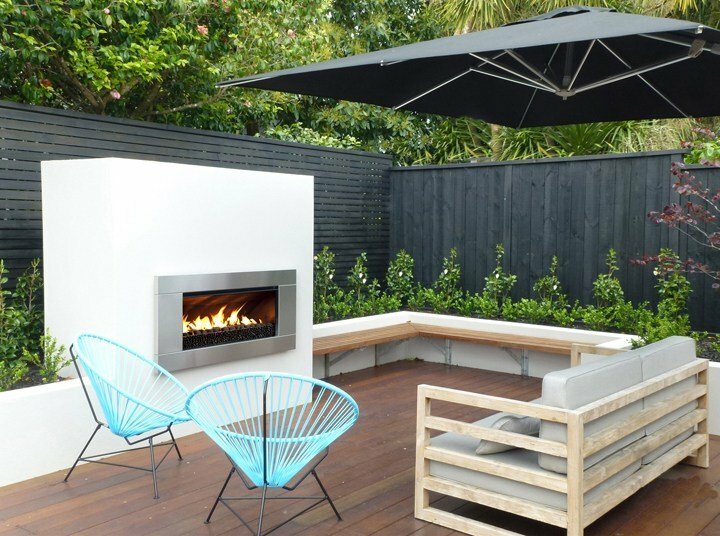 The EF5000’s electronic ignition and fully adjustable flame and heat settings at the touch of a button make it the perfect choice for parents busy spending time with their kids, but also provides customisable ambience for more sophisticated fireside evenings without little ones, while its Stainless Steel fascia imbues the space with a pleasingly solid, permanent, yet refined feel. 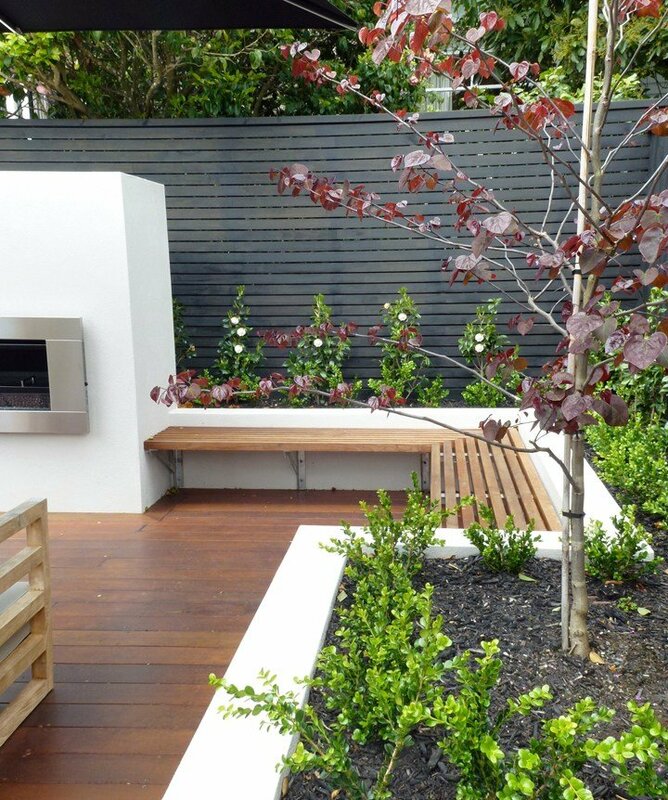 Flourish Gardens has now featured several EF5000 outdoor gas fireplaces in courtyard installations, and for good reason – the EF5000 gives urban courtyard spaces a dash of Escea’s trademark remarkable beauty, to warm the heart as well as the fingers and toes on chilly winter nights.